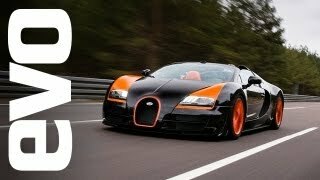 Bugatti announced that the Veyron Grand Sport Vitesse has officially become the fastest Open-top production car in the world. 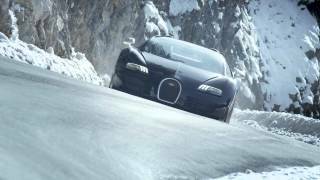 The Bugatti Veyron World Record Car will be unveiled to the world for the first time at the Shanghai Motor Show 2013 in April. The renowned independent German organisation for Technical Inspection and Certification, has officially confirmed that a top speed of 408.84 km/h (254.04 mph) was achieved during a high-speed run. The Vitesse was driven by the Chinese racing driver Anthony Liu. For the record-breaking drive, the Vitesse received a powerful dual-colour scheme in black and orange, perfectly translating its inner qualities into its exterior appearance. 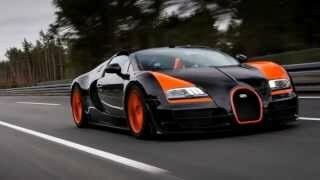 This special Bugatti Veyron 16.4 Grand Sport Vitesse will be available in a World Record Car (WRC) Edition, which is limited to eight vehicles. The price per vehicle is €1.99 ($2.60 / £1.69) (plus tax).